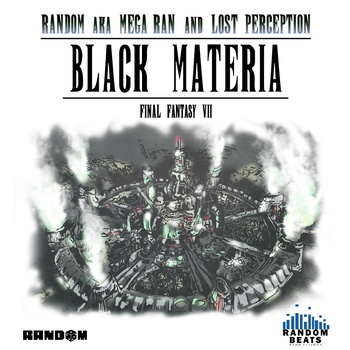 I woke up this morning to the shock an awe of Black Materia, an original hiphop album by Random AKA MegaRan, exactly 14 years since the Japanese release of the Final Fantasy VII, the game that shattered perceptions and set the bar for storytelling and detail in RPG Games. Listening to the songs on BandCamp, I’m still in awe. Great production, appropriate use of samples and dope vocal tone, this is an all-pro album featuring additional vocals by Brentalfloss, MC Pennywise, Devastate, Ilyas (of Tanya Morgan), Maja, Phil Harmonic, Dale Chase, and more. All and all, this album is dope and a half. Support this killer team.